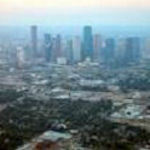 Ozone has been Houston's main air quality concern for several years. Area climate conditions combined with the variety of emissions from area industry and transportation make the city a prime media for ground level ozone formation. The Houston-Galveston area (HGA) is classified as a severe nonattainment area for ozone. The counties that comprise the HGA ozone nonattainment area are Brazoria, Chambers, Fort Bend, Galveston, Harris, Liberty, Montgomery, and Waller. The Texas Commission on Environmental Quality is responsible for submitting a State Implemented Plan (SIP) to the federal Environmental Protection Agency (EPA) as a plan of action to achieve ozone attainment. Unfortunately, ozone is not the only air quality concern in Houston. However, the city is committed to identifying air quality issues and targeting solutions for the improvement of the environment. The City supported research to identify air toxics and the related impact on human health. Conclusions drawn from research have led the City to taking action to reduce these toxics. Over the past year from 2005 - 2006 the level of 1,3 butadiene in ambient air has been measurably reduced at three-hotspot location monitors. The Texas Commission on Environmental Quality (TCEQ) issues daily air quality advisories, you may also register for daily ozone alerts. You can also "compare you air" at www.epa.gov/aircompare. For access to air pollution data, go to www.epa.gov/air/data. Monitoring of outdoor ambient air and water throughout Houston at 10 fixed air monitoring sites, mobile air monitoring, and 133 water sampling sites. Protecting the health of Houstonians from environmental pollutants and other health risks has always been a key goal of the City of Houston. The City has taken a number of actions to fulfill this goal, including establishing standards for pollutants in the environment, requiring sources to limit their pollution, and educating members of the public about actions they can take to protect their health. Air quality is of particular concern because it also directly affects the health and safety of the citizens of Houston. As a result, the City of Houston has commissioned a scientific study of air pollutants in the Houston area. The results of the scientific commission report identified 12 pollutants as definite health risks to Houstonians. This report will now guide the city in deployment of air quality resources and will support the development of a regional benzene reduction plan, which, through the leadership of the City of Houston, other jurisdictions will be encouraged to adopt.